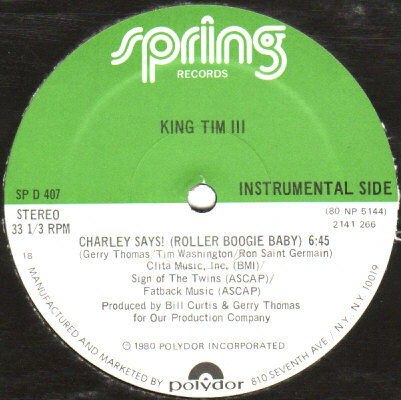 ホーム ｜ New Arrival ｜ King Tim III (extended member of Fatback) - Charley Says ! 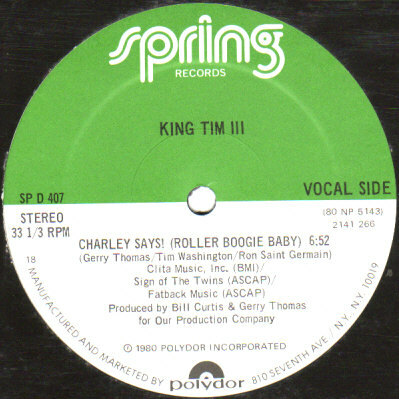 (Roller Boogie Baby) 12"
King Tim III (extended member of Fatback) - Charley Says ! (Roller Boogie Baby) 12"